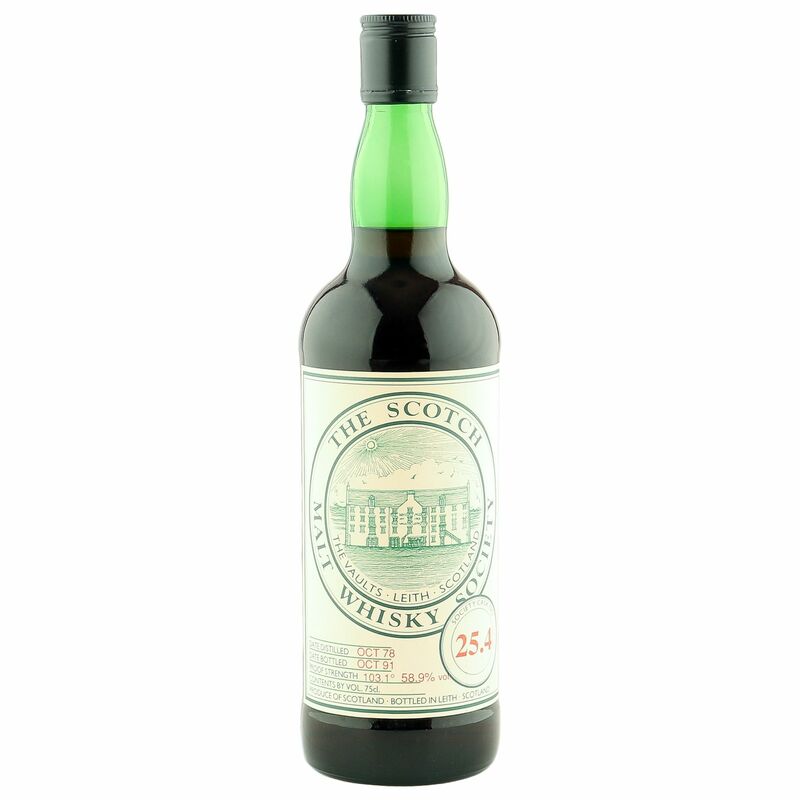 This sensational 13 year old Lowland single malt was produced at the, currently silent, Rosebank distillery in October 1978 and bottled for The Scotch Malt Whisky Society, under society cask number 25.4, in October 1991. 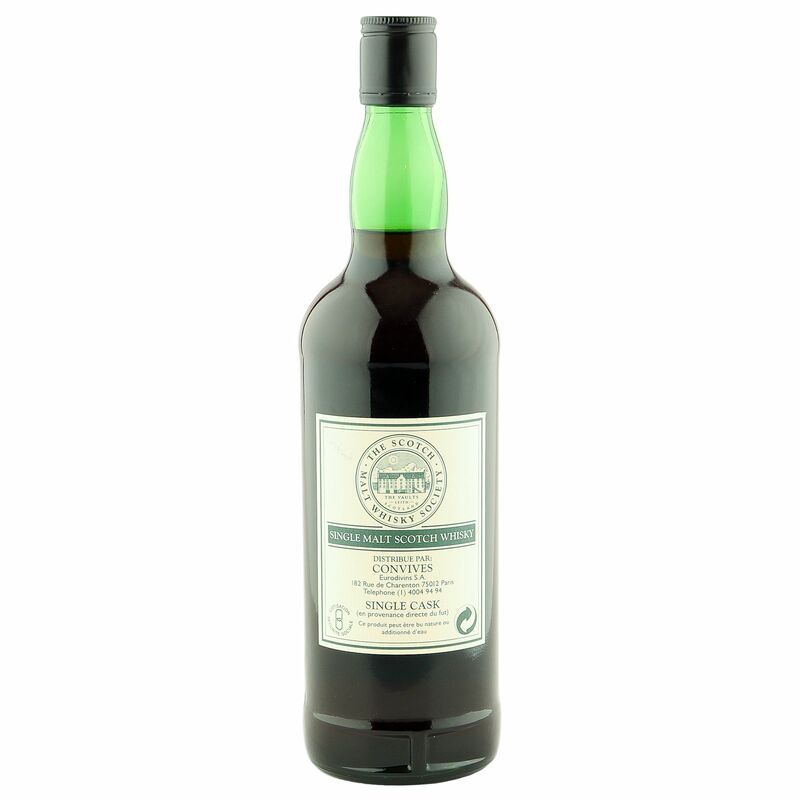 One of a limited run of gorgeously dark Sherry casked Rosebank's, released in and around the early 1990's, that comes in excellent condition with a fill level well into the neck. Bottled at a natural cask strength 58.9% ABV, this Sherry monster is mega hot property - a statement backed by the folks at WhiskyFun whom rewarded this rare beauty with a gargantuan 94 points!